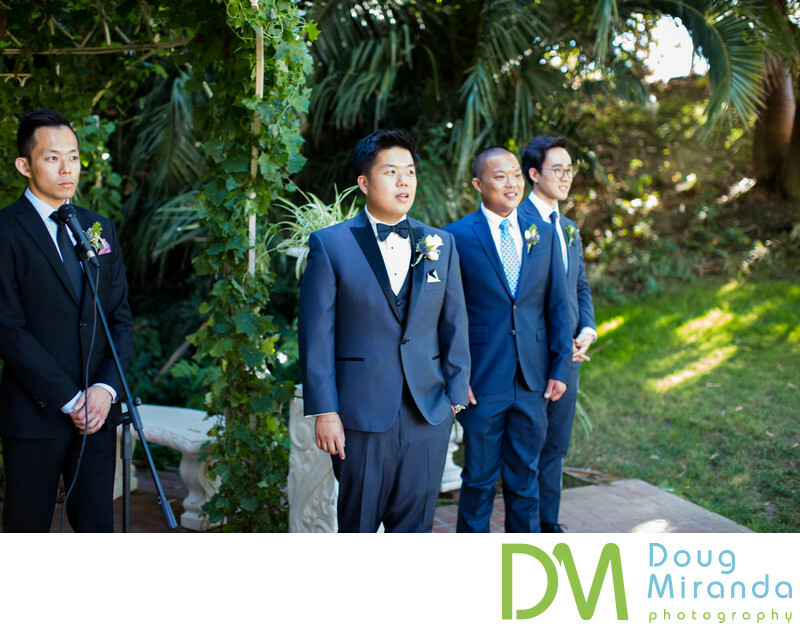 In this picture the groom is seeing his bride for the first time as she walks down the aisle with her mom and dad. This couple picked to have their ceremony on the shade side of the front lawn, which is always a good decision during the summer months in Sacramento. 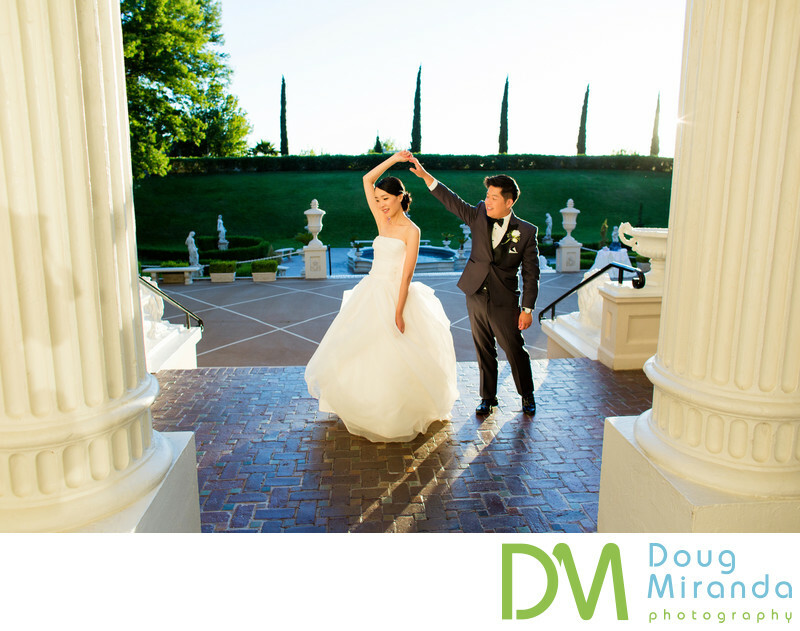 The Grand Island Mansion is the crown jewel of wedding venues in the California Delta located near the charming town of Walnut Grove.On your wedding day brides and grooms can get ready in some of the many rooms at the mansion. Most all wedding ceremonies take place on the front lawn. There are two locations, one on the far right side and one on the far left side of the mansion’s front lawn. If the weather doesn’t cooperate on your big day the wedding ceremony can be held indoor or in the back wedding reception tent. If you’re having a larger wedding your reception will take place in an eloquent reception tent behind the mansion. While smaller events have the option to have their dinner and dancing located inside the mansion. With the dinner taking place on the main floor and the dancing being held downstairs. This venue is that it can host ceremonies, receptions and events all year long unlike other locations in the great Sacramento area and Delta region.